William Thomas "Billy" Gray (born January 13, 1938) is an American former actor known primarily for his role as James "Bud" Anderson, Jr., in 193 episodes of the situation comedy Father Knows Best, which aired between 1954 and 1960 on both NBC and CBS. A motorcycle aficionado, Gray maintains a large collection of the vehicles.Gray was born in Los Angeles to actress Beatrice Gray (March 3, 1911 – November 25, 2009), and her husband, William H. Gray. His mother was mostly ... See More uncredited in the 1930s and 1940s, having appeared in Otto Preminger's Laura, with Gene Tierney and Dana Andrews. In 1949, Billy Gray appeared with his mother in separate scenes in the film Abbott and Costello Meet the Killer, Boris Karloff. In 1951, at age 13, he appeared in the film Jim Thorpe -- All-American, with Burt Lancaster in the lead role. Gray portrayed the Indian athlete Jim Thorpe as a child. Later that year, he was chosen to appear in the science fiction picture The Day the Earth Stood Still. Michael Rennie played the part of the alien who befriends a boy played by Gray. In 1952 he appeared in an uncredited role as one of the many children in Ma and Pa Kettle at the Fair. That same year he played George Murphy's son in MGM's Talk About a Stranger, portraying a boy who saves his money to buy a dog, only to have it killed by a strange reclusive new neighbor played by Kurt Krazner. Gray in 1952 was also slated to play the part of Tagg Oakley in the syndicated western television series Annie Oakley, starring Gail Davis and Brad Johnson. Billy did perform as Tagg in the first of two pilots produced for that series, in the 1952 episode titled "Bull's Eye", which potential sponsors opted not to purchase and underwrite the series. The role of Tagg later went to 12-year-old Jimmy Hawkins for the series' second pilot, "Annie Gets Her Man", and for the full run of Annie Oakley after sponsors bought the series. 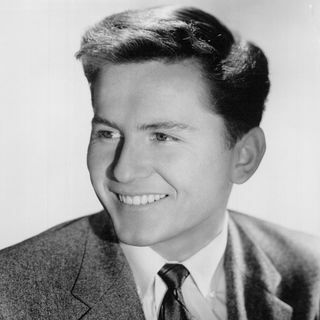 Gray instead joined the cast of Father Knows Best, which would premiere nine months after the first broadcast of Annie Oakley in January 1954.After Gray's brief work on the Annie Oakley series, Warner Bros. in 1953 cast Gray as Wesley Winfield in By the Light of the Silvery Moon, a sequel to On Moonlight Bay (1951) in which Gray had played the role of the same Wesley Winfield. He appeared as Alan in the 1953 episode "Shot in the Dark" of the Adventures of Superman, starring George Reeves. In that episode's plot, the character Alan takes a photograph of Superman that could expose the hero's secret identity. In 1955, Gray appeared in The Seven Little Foys, which starred Bob Hope as famed vaudeville entertainer Eddie Foy, in the teen role of Bryan Lincoln Foy. In 1957, while still on Father Knows Best, Gray appeared as Mike Edwards in the episode "Come Back Darling Asta" of Peter Lawford's NBC crime series The Thin Man, based on the work of Dashiell Hammett.